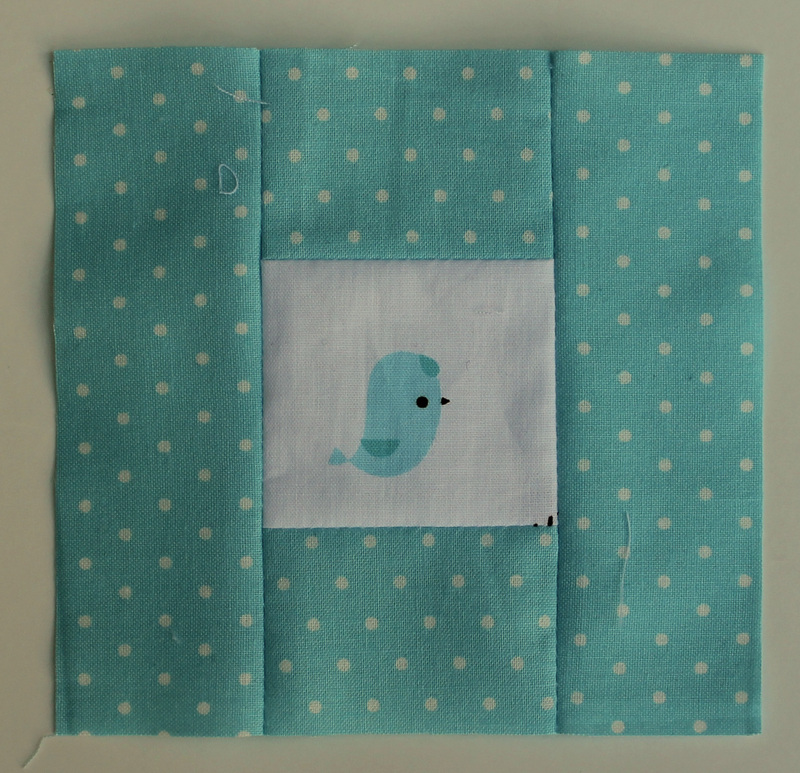 So this is my favorite Cotton & Steel quilt I have made so far…. 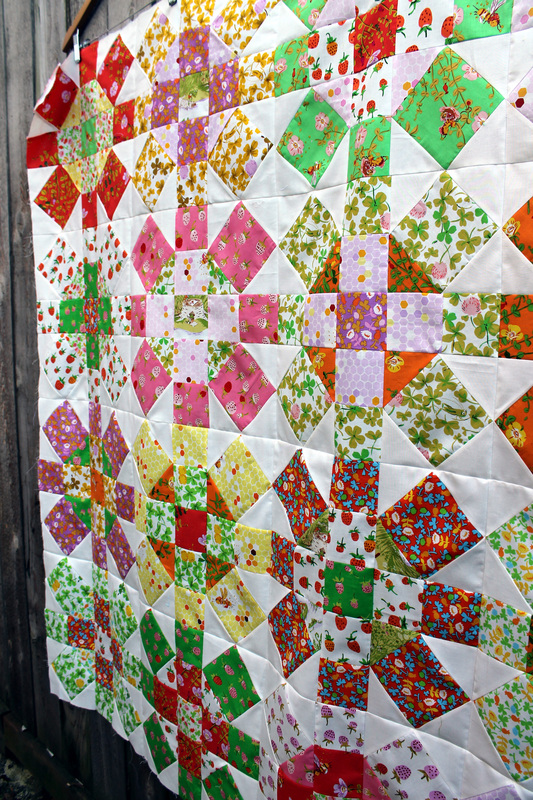 and yes it uses the same block as last week’s quilt – the Ohio Star. 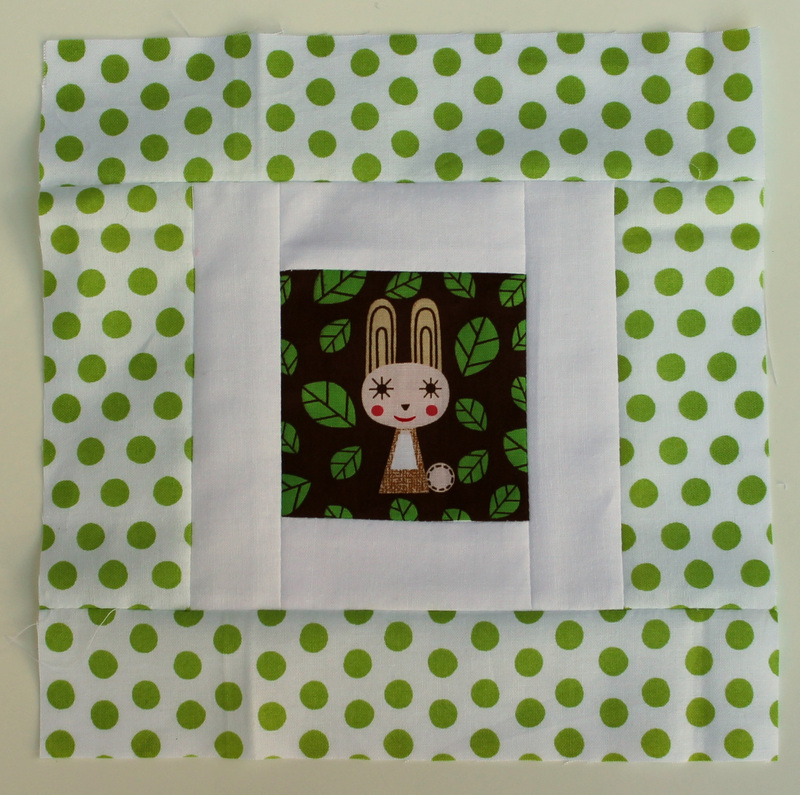 I always use the wonderful tutorial by The Sewing Chick when making this block. 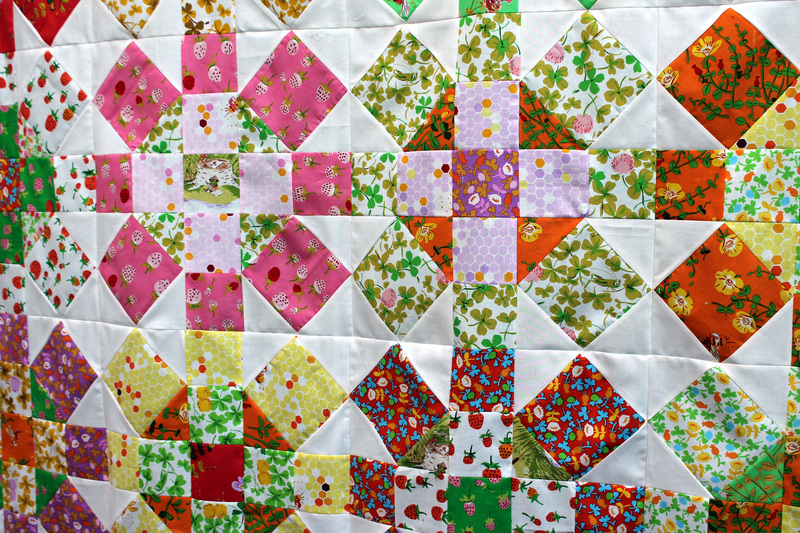 The beautiful quilting was done by our wonderful guild member Kazumi Peterson, who is so generous to our Charity program with her time and talent. I finished the quilt with just a solid navy binding… the quilt is so fabulously busy it did not seem to need anything else. So this is Cotton & Steel quilt number 5 and I have just finished the top for number 6. I may have a C&S problem and they are not helping at all… have you seen the latest collection to hit stores? It is called Spectacle and is by the amazing artist Christian Robinson. Now in my defense I have not bought EVERYTHING they have released but they really do make fabulous fabric. I managed to finish up my Briar Rose Quilt top this week… and I am loving how it came together. 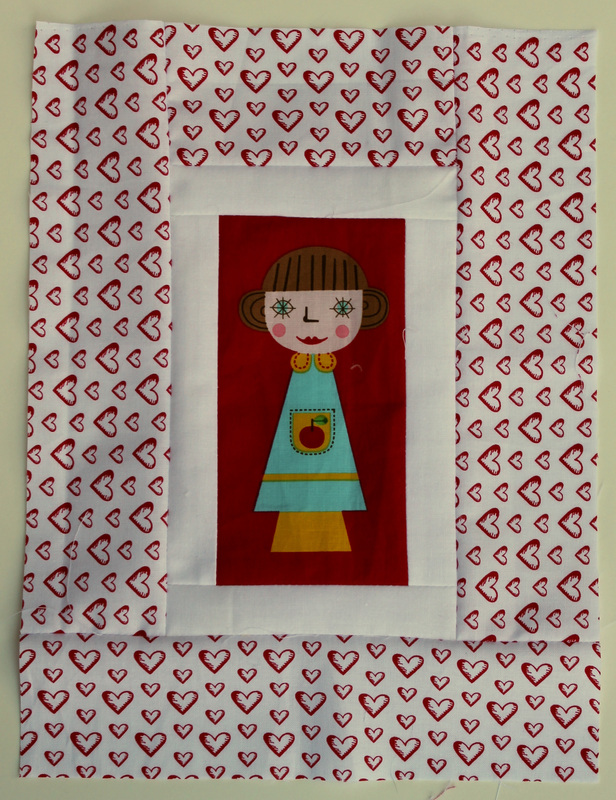 It really helps that I am using Heather Ross’s marvelous fabric line, Briar Rose and a great block pattern, Labyrinth by Red Pepper Quilts. 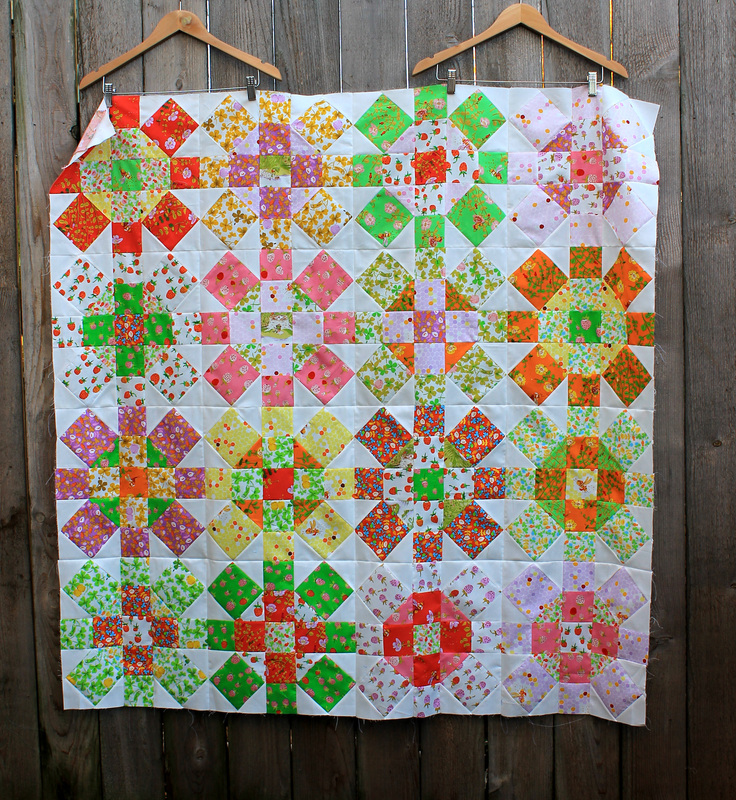 If you want to read more about the block and the start of this quilt you can check out my original post. 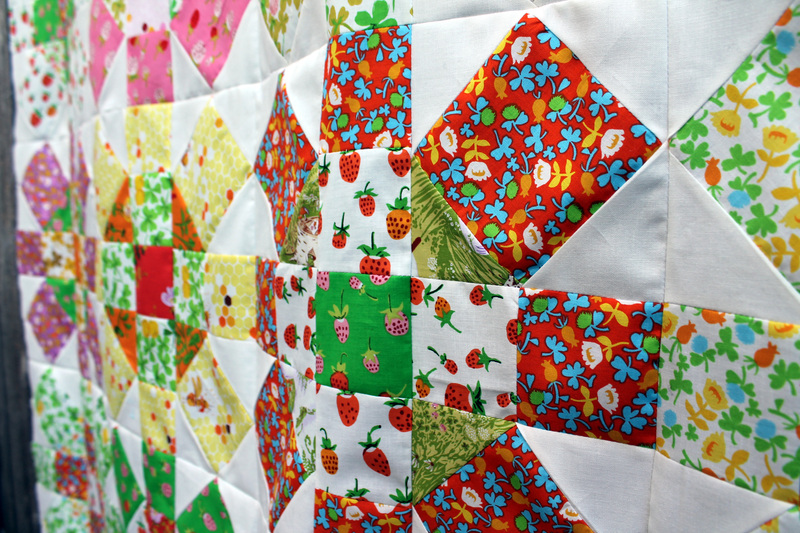 The block is traditionally pieced, there was not a piece of paper in sight. My seams are a little squiffy in places but the pattern is so easy to follow and so forgiving it did not take me long to whip this top up. 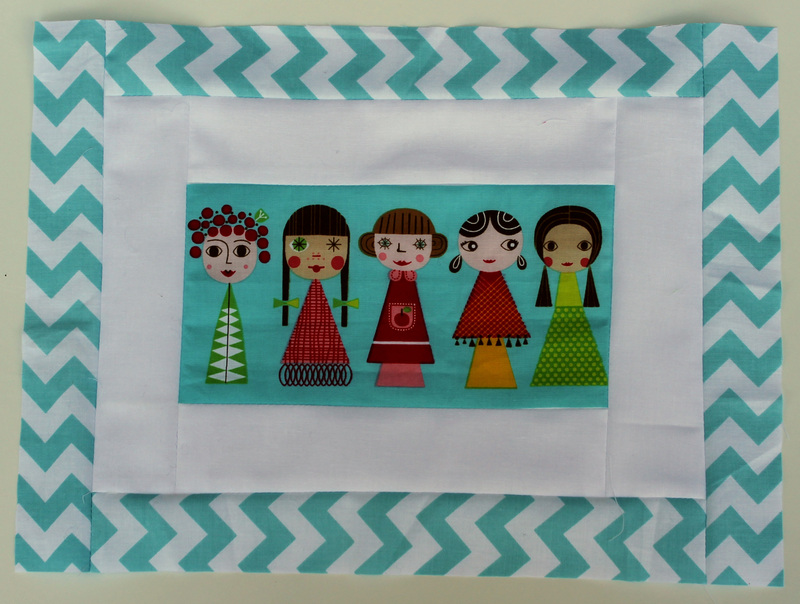 It was an interesting process for me using the whole line of fabric and not my usual scraps. If I “blocked” myself into a colour/pattern corner I had very limited choices to get myself out (usually I just add another fabric from my stash!). I wanted to use all the fabrics in the line as equally as possible, but also wanted to get the subtle hint of a light block/dark block pattern in the top. I found myself fudging the last couple of blocks to make this work. I really had to be careful not to use the strawberry fabrics too much. They are my favorite of this collection and I found myself wanting to put them in every block. And at the end of this process I have enough scraps left to play some more with the Briar Rose line. Yipee! 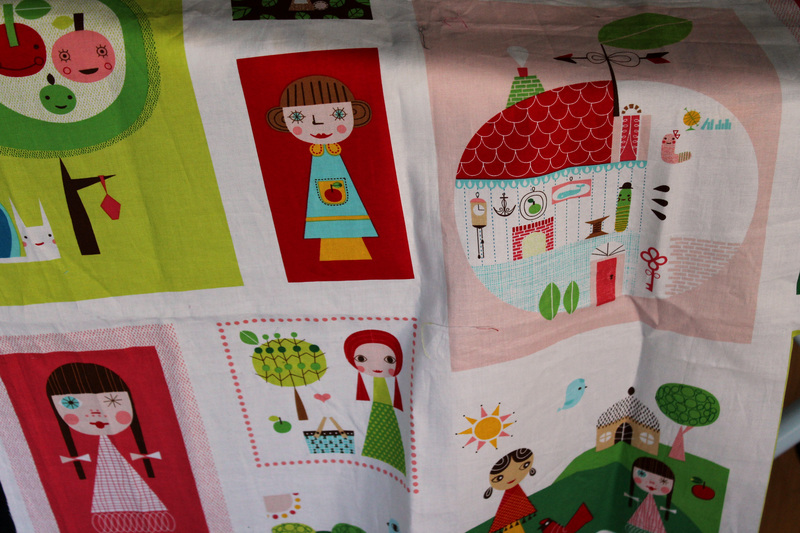 This week I found in my stash a yard of fabric I bought a year or so ago because I fell in love the artwork on it. It from Suzy Ultman’s “Appleville” range for Robert Kaufman. I often buy fun printed fabric because I love it, but do not really know what I am going to do with it. 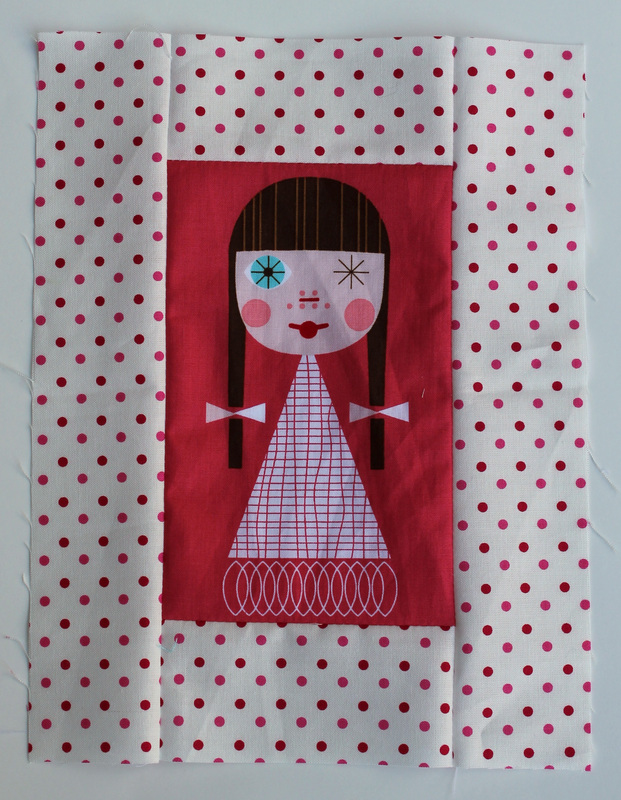 I struggled a lot with this fabric in particular because it is blocks of different prints, not an overall pattern. I know I could have cheated and just used it as part of a backing fabric, but that would not show the fun prints off to their best advantage. So this week to challenge myself, I pulled the fabric out of my stash, determined to make a quilt out of it. I cut the individual printed sections of the fabric out and went to work. I grabbed some Kona white, some graphic bright prints and started playing. 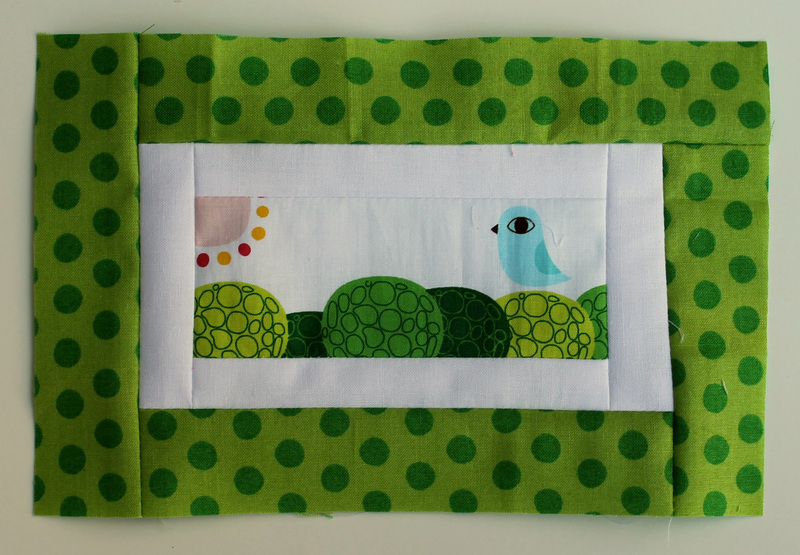 As I finish a block it goes up on the design wall with the others. Slowly but surely a quilt top is starting to emerge. The blocks are all different shapes and sizes so the layout will be free form. And there will be a lot of white used as the background fabric. 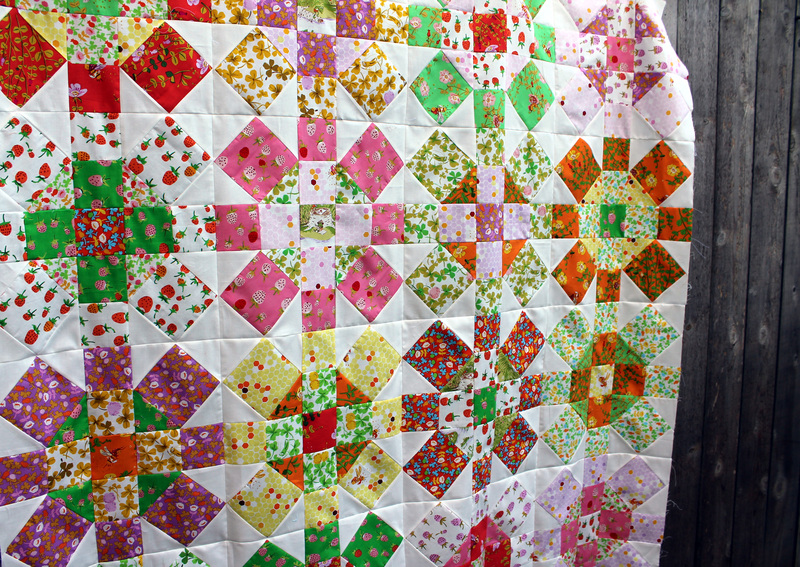 But in the end I hope to have a fun quilt top finished, quilted and bound for Friday.